Chicago's Iconic Architectural Legacy, Elevated. A 76-story architectural icon designed by Rafael Viñoly, located on Grant Park, with a soul that is 100% "Made in Chicago." 70,000 square feet of activity and tranquility. With extensive serviced amenities crafted for wellness, entertainment, and convenience, NEMA represents a new way to think about home. NEMA creates a vibrant, dynamic community that feels like home, yet inspires personal growth, powerful networking opportunities, and meaningful connections. 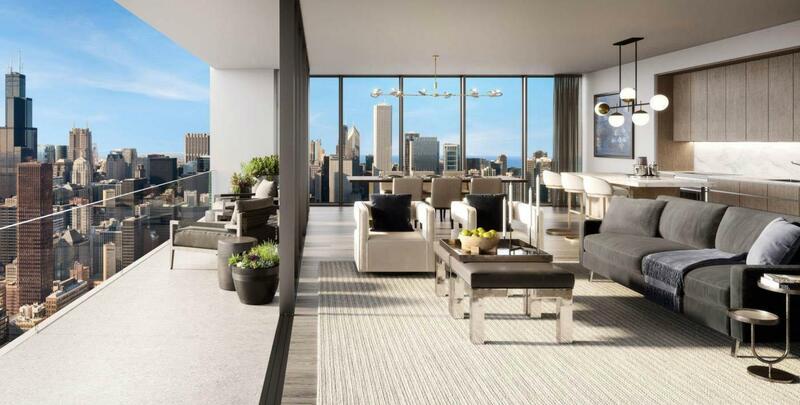 Intelligently designed homes framed by Chicago's stunning vistas. NEMA's Signature Residences range from studios to three-bedroom technologically advanced apartments, each presenting the perfect canvas for personalized comfort. Distinguished two- to four-bedroom residences on floors 49 through 76 of the NEMA tower. NEMA’s Skyline Collection offers two- to four-bedroom residences with spacious floor plans, extended ceiling heights, and premium finishes for those seeking an unprecedented level of quality. Skyline Collection residents enjoy a dedicated lobby and a private suite of amenities on the 48th floor of the tower, along with access to Signature Amenities. Brought to you by Crescent Heights, NEMA is a lifestyle apartment brand inspired by each city it calls home. Thoughtful design, extensive and bespoke amenity collections, and personalized, tech-powered service are at the core of the NEMA ethos. Sustainably-built and community-minded, NEMA embraces its residents' various lifestyles, creating an elevated experience, a new kind of home.